Bricks 4 Kidz® classes provide an extraordinary atmosphere for children, where we learn, we build, we play… with LEGO® bricks. Programs are built around our proprietary model plans, designed by engineers and architects, with exciting themes such as space, construction, and amusement parks. 1. Kids already know how to build with LEGO® bricks, but with a little coaching they can learn about engineering, architecture, physics and math using specialized components. 2. When lessons are related to something kids enjoy, like building with LEGO® bricks, kids are more motivated and retain more of what they learn. 3. Working with a partner fosters teamwork and cooperation. 4. Completing a new challenge each week builds self-esteem. Click here to find out what our franchisee has to say! 2. Why should I open a BRICKS 4 KIDZ® franchise instead of trying it on my own? The BRICKS 4 KIDZ® franchise management team has developed a successful business model. We have honed our operations to give our franchisees the best possible opportunity for success. Why risk it on your own when you can leverage our expertise and experience? 3. Will BRICKS 4 KIDZ® franchise help me with marketing? Yes. We will provide a proven marketing package, as well as production and strategic assistance with your on-going local marketing efforts. 4. 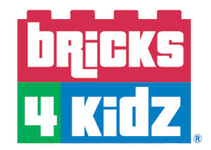 What makes a successful BRICKS 4 KIDZ® Franchisee? There are three elements to any successful franchise relationship: a great Concept, a good location and a great operator. We have the first element, and we’ll help you find the second. The real key is always the operator. As a BRICKS 4 KIDZ® franchisee, YOU make all the difference. A Franchisee that is willing to follow a proven system, and is committed to excellence, consistency, and constant, positive communication with his/her students and community will always have great success. 5. How soon can I be in business once I have executed a franchise agreement and located a mutually accepted site? You can be open for business generally within 60 days after your training has been completed. Okay, I’m ready to open my first BRICKS 4 KIDZ® franchise. Your BRICKS 4 KIDZ® franchise journey begins with completing our Request for information form here. We will inform you on the next franchise briefing date.